The 2019 Mitsubishi Outlander is a 7 passenger Automatic transmission, 2 Wheel Drive Sport Utility Vehicles or 4x4 Sport Utility Vehicles. It is available in 5 trim packages, the ES, GT, LE, SE, and SEL. The new Mitsubishi Outlander invoice price ranges from $23,873 to $32,090, while MSRP ranges from $24,695 to $33,195. 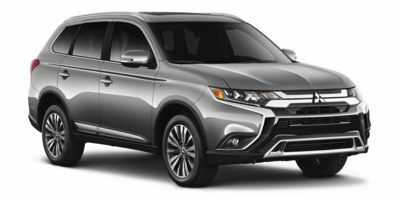 The 2019 Mitsubishi Outlander is available in 7 exterior colors, Alloy Silver Metallic, Cosmic Blue Metallic, Labrador Black Metallic, Mercury Gray Metallic, Pearl White, Quartz Brown Metallic, and Rally Red Metallic, and 2 interior colors, Beige, and Black.